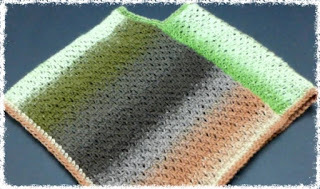 When I decided to make a poncho that is constructed of two rectangular panels, I thought about it really hard, because I read somewhere that when knitting or crocheting a poncho one should double the width. 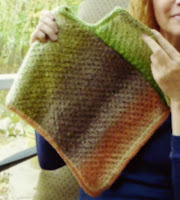 So if, for example, I want to make a poncho that is wide 20 inches (which would be a length from neck to the wrist of a person) then my length of each panel should be 40 inches before I start sewing it together. Now, if one has to sew the short side to the long side - that person would be shortening the length by half, leaving us with remaining 20 inches. Then we would do the same with other panel and therefore we would have 20 more inches left - which these 20 inch measurements combined would give us 40 inches and that would be our opening for head - a little too big, IMHO, since a regular head circumference is somewhere between 21-25 inches for adults. I can clearly imagine that I would be pushing such poncho up my shoulder all the time. Very uncomfortable. The same thing would happen to a small baby. If the width would be 10" and length would be 20", then by calculation the opening for the head would be 20". I can just see a baby running around playground and poncho slipping of the shoulders to her/his hips or knees. So, I arrived at the conclusion that the "best" (hopefully) measurements are perhaps combination of the length from the neck to the wrist (or up to knuckles on a hand) plus the circumference of a head + a little bit more just to be on the safe side. That makes sense right? I think that first the poncho has to cover the arms, and second has to go over the head, BUT this opening for a person's head cannot be too big (because a poncho would be slipping of one's shoulders) nor too small so the person can pull the poncho comfortably over the head. 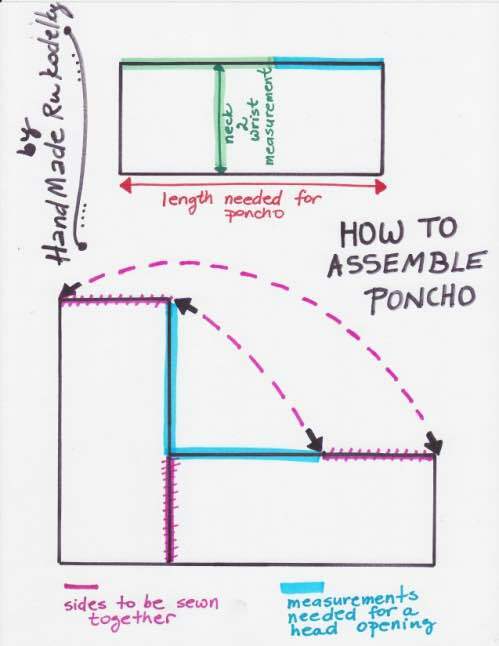 Diagram Of "How To Assemble A Poncho"
In the meantime see my free written pattern (below) for a poncho for 10" width & 16" head circumference - most likely to fit a year old baby. BO all stitches and after you assemble your poncho (see image above). 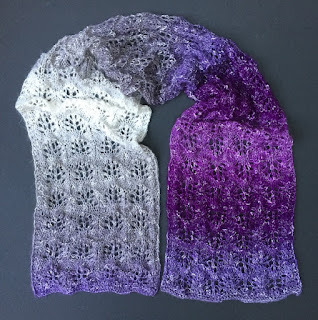 Crochet or knit around the edges and/or add some fringe or tassels. Weave in all ends. DID YOU FIND ERRORS? Let me know on what page and in which row by clicking HERE, and I will fix it as soon as I get to it. You can PM me on my FB Page HERE as well. Txs! Also if you haven't subscribed to my HandmadeRukodelky Channel, you can do it HERE. There are many videos to be seen, too.